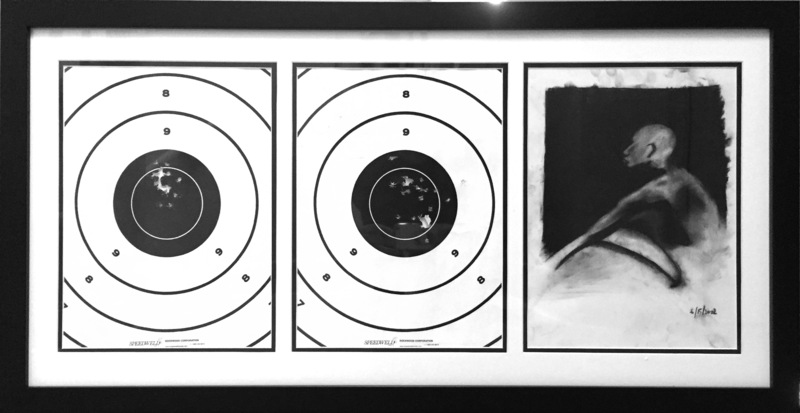 A new piece called “Target Practice”. Made for the Artsy salon. The target practices are my own, shot with a 22mm rifle a few years ago. The drawing was made in Seattle in 2002. This piece is about our own responsibility as white men in the recent gunning down of Dontre Hamilton, Eric Garner, John Crawford III, Michael Brown Jr., Trayvon Martin, Walter Scott and so many more. Target Practice on Paper, Conté Crayon was published on July 23, 2015 .